What’s been happening at Nine Twenty? We are continuing to expand Nine Twenty by bringing some new faces on board. We’ve got some much needed extra space for the Nine Twenty Academy and our staff. Oh, and we are up for a few awards too. Over the past few weeks we have had several Kirsty’s, one Clare and one Emma all start. Kirsty Reid is our new Junior Business Support. Clare O’Donnell has joined Karen Stewart’s Engineering team as a consultant. Emma Hart has joined Nine Twenty as our new Marketing & Branding Executive. And finally the final Kirsty – Kirsty Scott has joined our Dundee office to help grow our Business Services sector. You can look forward to seeing all their lovely pictures and bios on our site very soon indeed. With more new-starts planned for the coming weeks the ‘Meet the Team’ section of our site is going to get very busy indeed. We are not only up for a NORA. 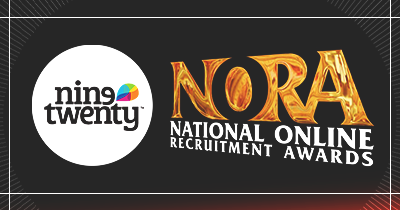 Oh no, we have also been nominated for Best Small Recruitment Agency at The Drum Recruitment Business Awards. So we just want to say thank you very much indeed for all your support. Onwards and upwards.